In 1910, one of the largest gatherings of European royalty took place for the funeral of King Edward VII – the ‘Uncle’ of Europe. King Haakon VII ruled from 1905 until 1957, and he is regarded as one of the most important Norwegians of the 20th Century for his stoicism during WWII. 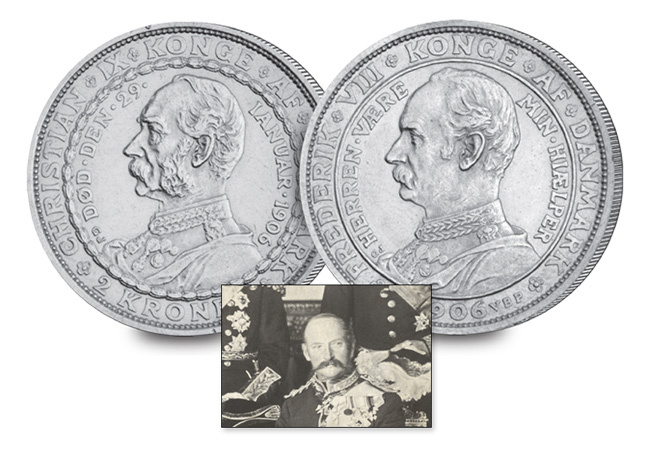 The 1 Kroner coin shown here was struck from 800/1000 Silver up until 1915. After this, Norway’s regular coinage was almost all cupro-nickel, marking the end of an era. Tsar Ferdinand established the Royal dynasty in independent Bulgaria, in 1908 he was pronounced their first ever ‘King.’ But he was forced to abdicate during WWI, and he lived to see his monarchy deposed by Socialists in 1946. 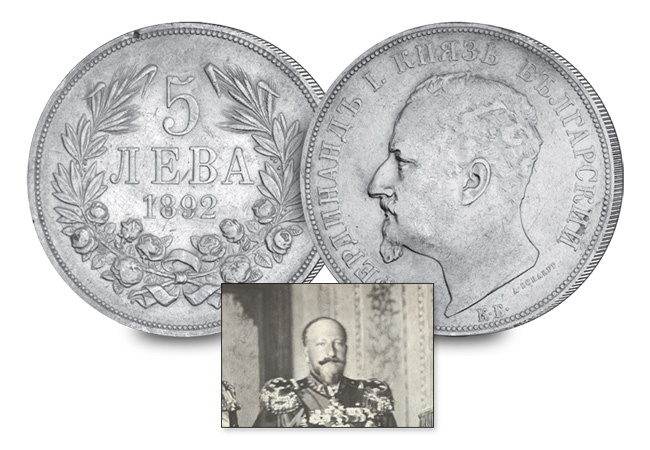 However one thing did survive, and that was the Lev – the Bulgarian currency which is still in use today. King Manuel II was the last ever King of Portugal, as their monarchy was dissolved in October 1910 and Manuel spent the rest of his life in exile. 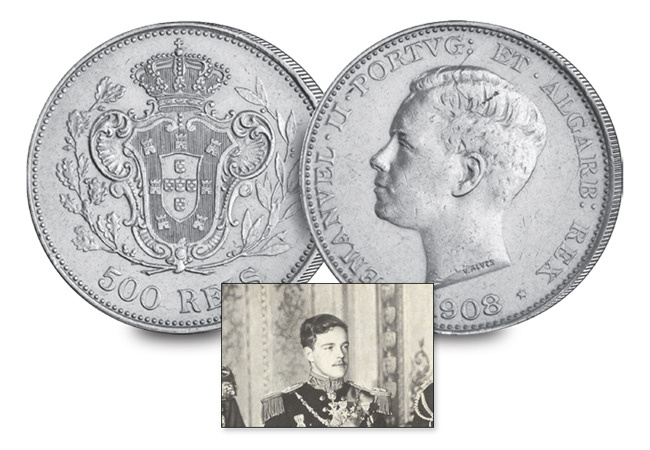 This makes Manuel II coins particularly sought after by collectors as they were only struck in three years – like the 500 Reis shown here. In 1910, when this photograph was taken, Kaiser Wilhelm II was still held in some regard in Britain. 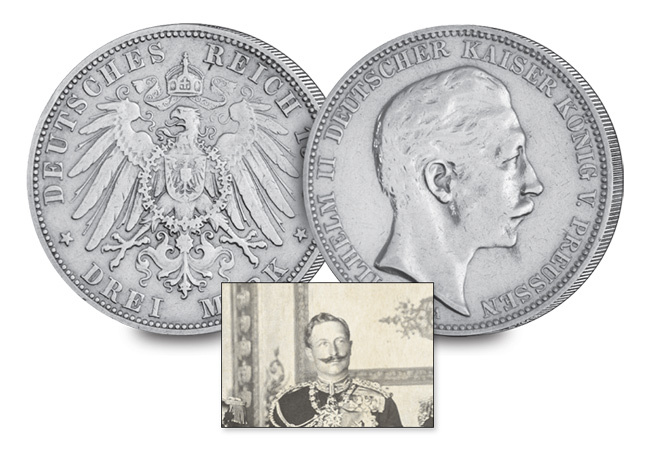 The last ever Emperor of Germany and Prussia, he abdicated in 1918 after losing support from the military, marking the end of the German monarchy. He left behind him a legacy of attractive 900/1000 silver Marks however, like the 2 Mark coin pictured here. Originally a Danish prince, George was born in Copenhagen. He was only 17 years old when he was elected king and he reigned for almost 50 years – the longest in Modern Greek history. Unfortunately, King George’s reign came to an end on 18th March, 1913 when he was assassinated during the First Balkan War. 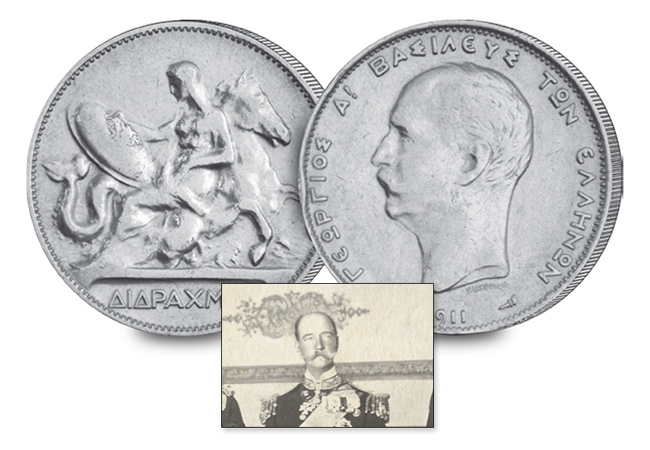 The distinctive 2 Drachmai which carries the King’s portrait features the Greek goddess Thetis with shield of Achilles, seated upon a seahorse. King Albert I reigned Belgium from 1909-1934, which was an eventful period in the History of Belgium. It included the period of World War I, the adoption of the Treaty of Versailles and the first five years of the Great Depression. 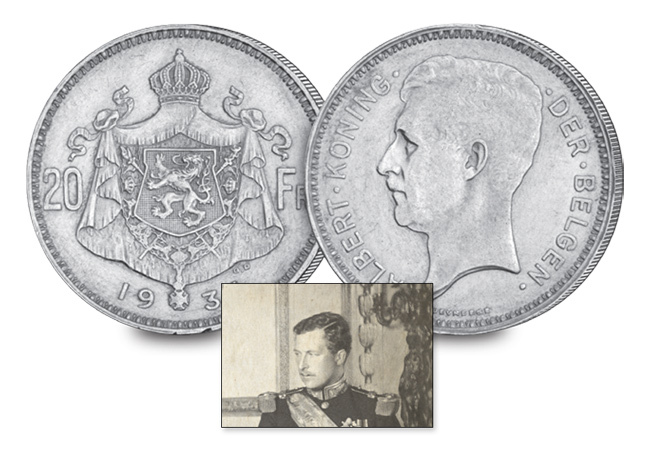 The 20 Franc coin pictured here was minted within the last two years of King Albert I’s reign and is incredibly collectible today. If your 1934 coin is struck en medaille then it is significantly rarer than the standard issues – definitely one to keep in the collection. Alfonso was monarch from birth as his father Alfonso XII had died the previous year. Until his 16th birthday in 1902, his mother, Maria Christina of Austria, served as his regent. 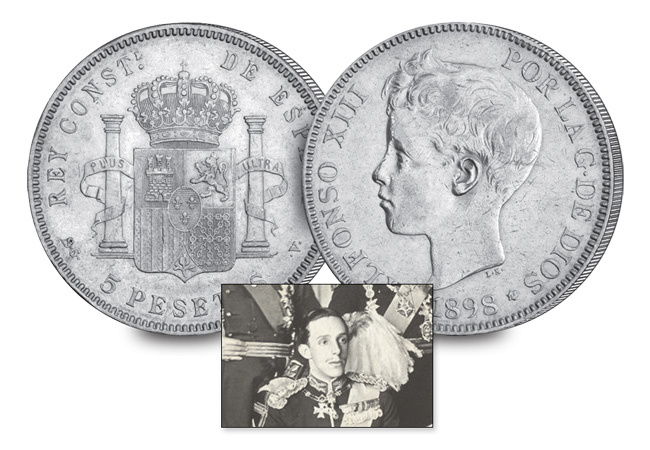 As he was born King, early coins from Alfonso’s reign featured his portrait as a child, such as this 5 Pesetas from 1898 which pictures the King at just 12 years old. His portrait was struck upon the half-crown, a British denomination equivalent to two shillings and sixpence, or one-eighth of a pound. Frederick ascended the throne late in life, and only ruled for 6 years. 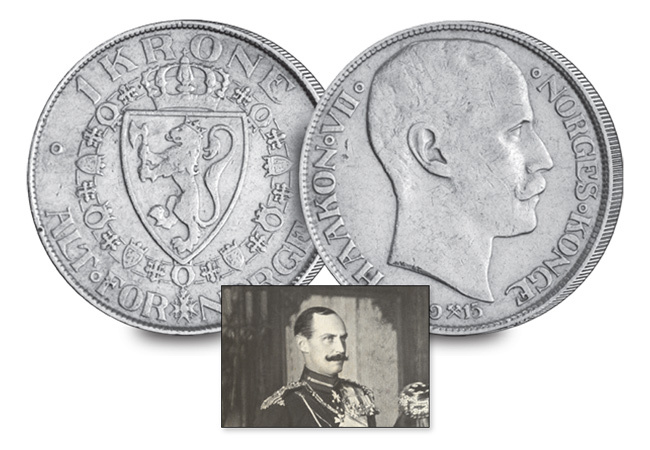 To mark both the death of his father King Christian IX in 1906 and Frederick’s accession to the throne, a 2 Kroner coin was issued that features both Christian IX and Frederick VIII – an extremely unusual and collectable ‘double obverse’ design. I’ve only just scratched the surface of the coinage behind the remarkable photograph. Suffice to say, we will probably never see an assembly of Monarchs like it ever again. 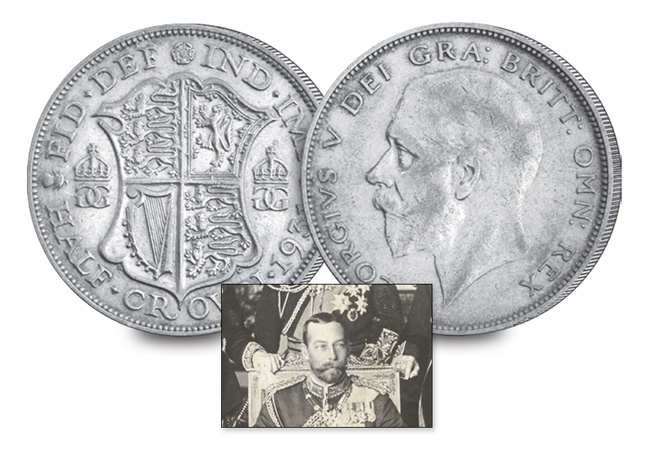 You can own all of these fascinating coins in the limited edition Funeral of King Edward VII Nine Coin Silver Set. Do they do this collection in standard material instead of silver. This collection is only available in Silver.